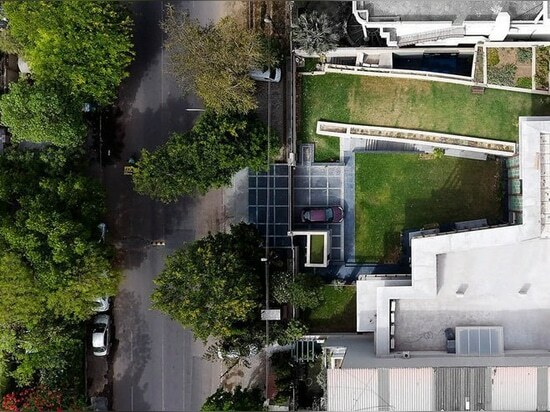 exploring the local bungalow typology on a substantial smaller site, the project incorporates four suites with family spaces placed in stacked, low-rise volumes that surround a manicured lawn courtyard meant for social gathering.anagram architects has adopted a more contemporary approach to the typology’s typically maximal programmatic connect, responding to the eclectic modern tastes of the family. 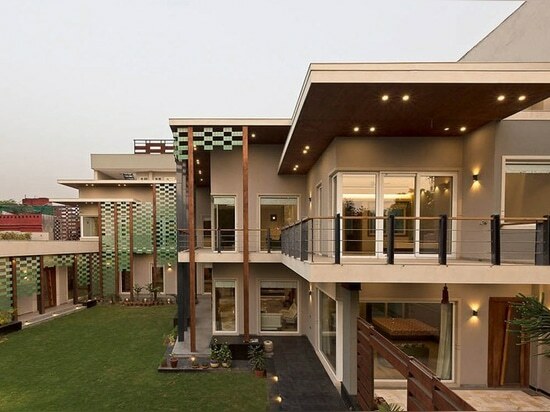 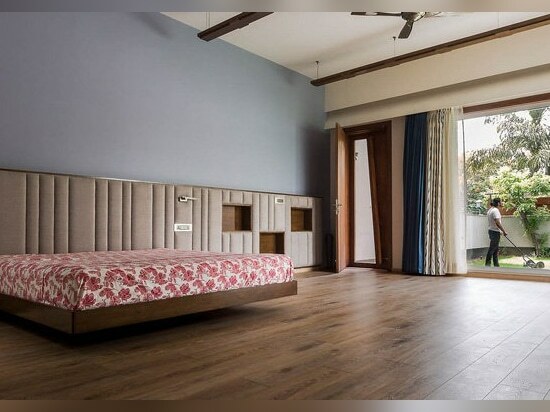 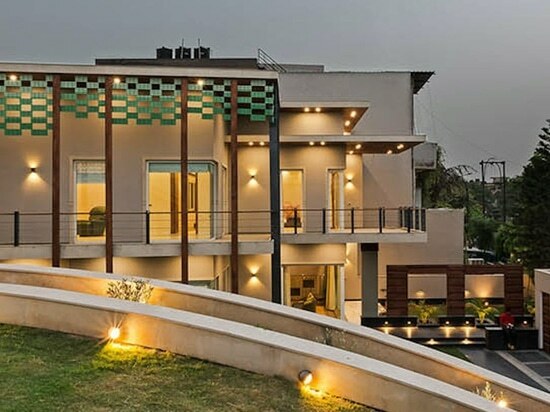 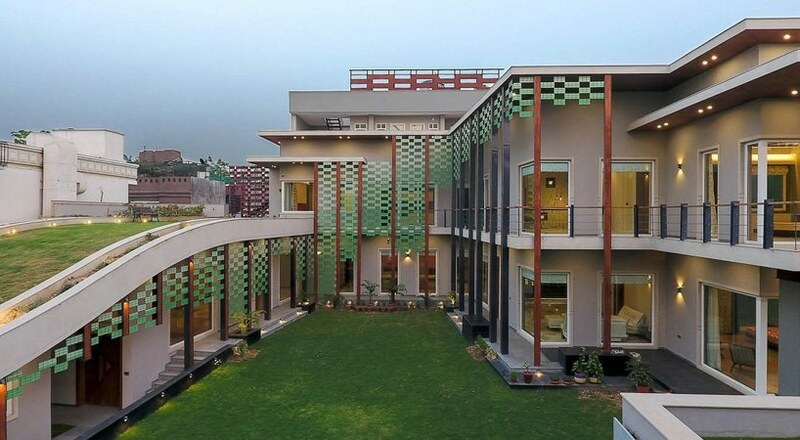 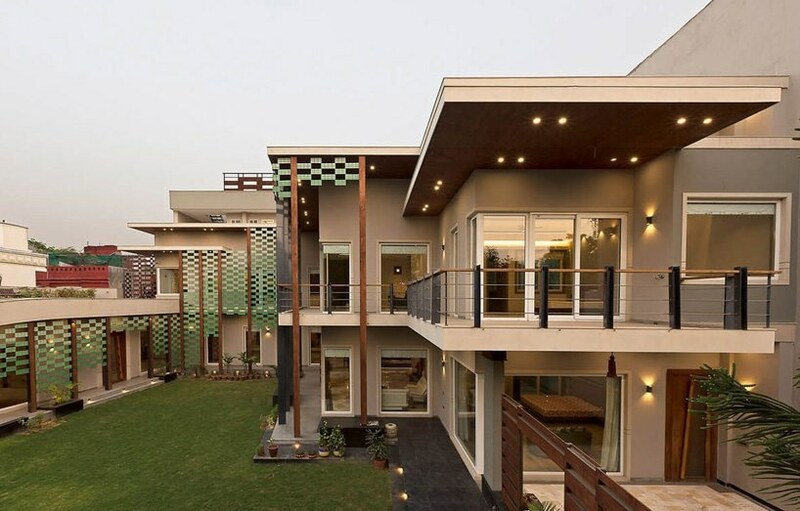 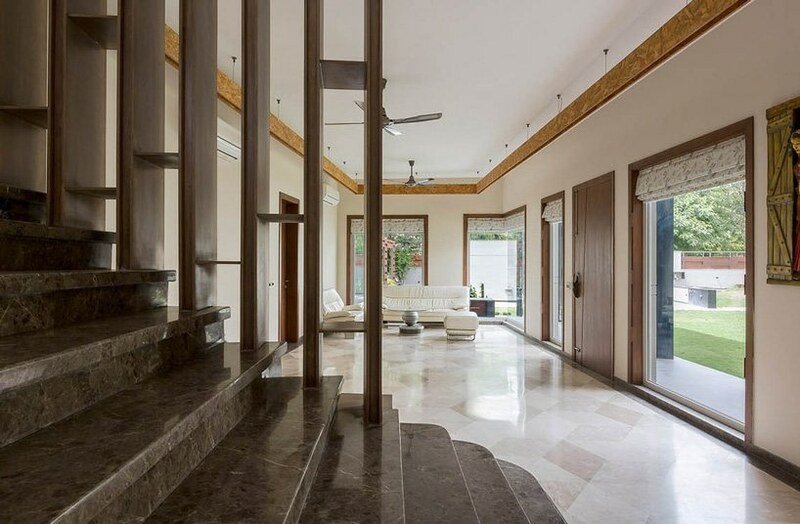 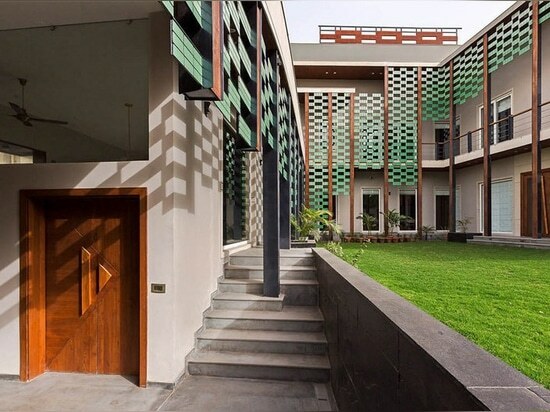 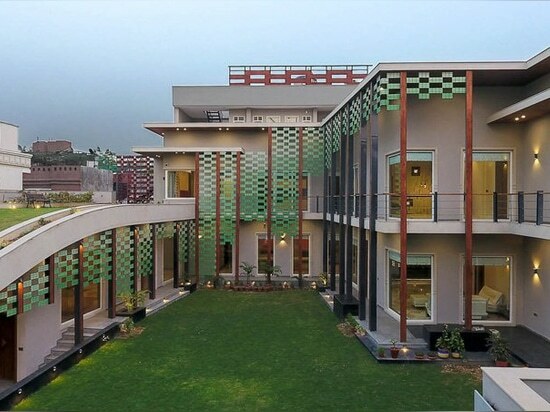 the design is consistent to the bungalow typology of ordered low density volumes and similarly uses a contiguous colonnaded verandah as a formal privacy and thermal buffer. 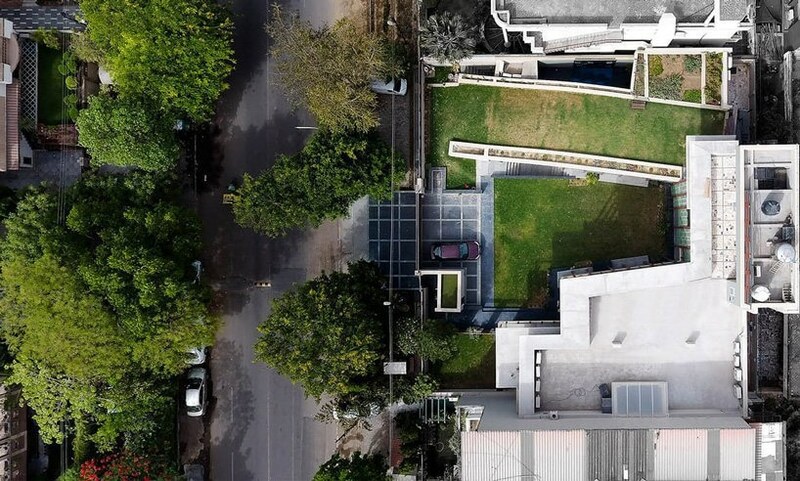 a private green platform rises onto the rooftop, reaching the more public spaces such as the living & dining room and home-office, which are separately placed into the angled northeast wing. 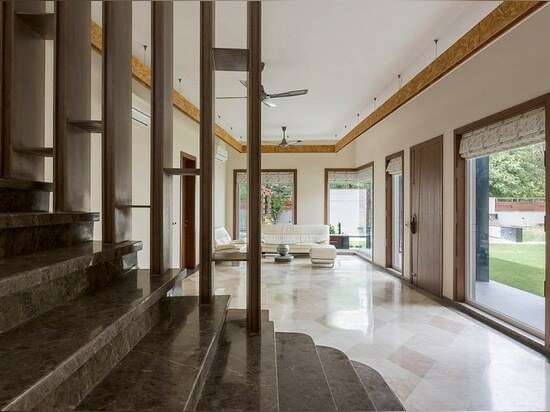 the colonnaded verandah runs along both levels of the facade, providing a contiguous buffer to the residence from the front lawn and offering protection to the rooms placed behind it from the high summer sun. 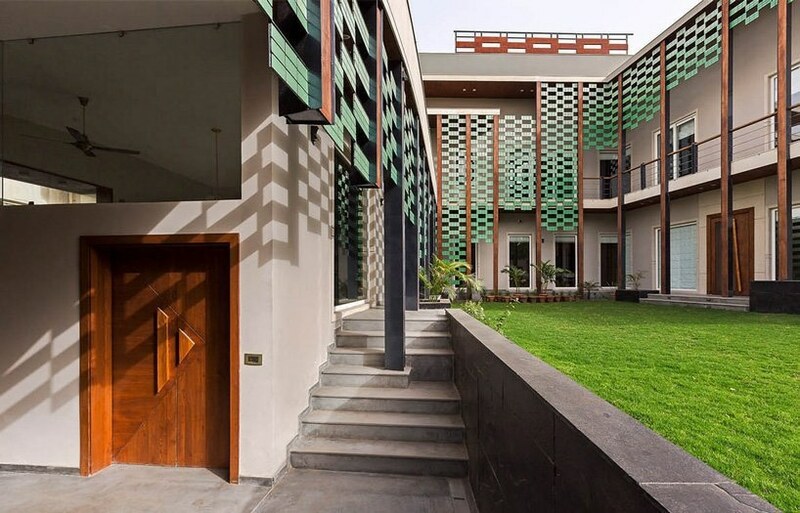 porcelain tiles on a minimal steel lattice enhance shade to the verandah, referencing the roll-up blinds or fixed trellises traditionally used to reduce glare.